The handy yellow sticky note is getting an upgrade for non-office settings. Post-it Brand is going after customers who don't work in offices. First sold in 1980, the brand's handy yellow sticky note has become a ubiquitous communication medium in offices, schools and homes (and it’s the favorite low-tech office tool of Entrepreneur’s Twitter followers). But, what about situations that are a bit, shall we say, stickier? 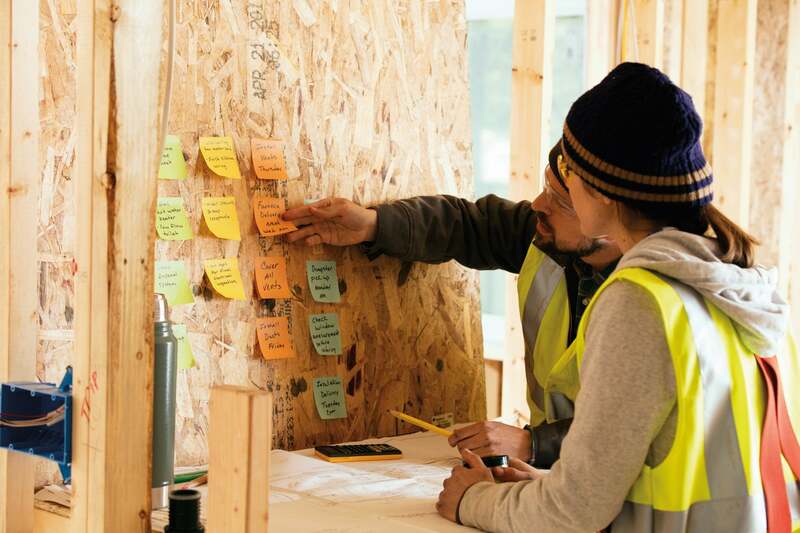 Construction workers and kitchen staff need to communicate, too, and options are often limited, Post-it Brand discovered in research it commissioned from Wakefield Research. A survey of more than 1,000 workers who work in non-office settings found almost 40 percent had to redo a project at least once a week because of a communication issue. The survey also found 77 percent of respondents resorted to unconventional means of communication, with 23 percent reporting they had written on a body part. To keep people from taking a Sharpie to their arm, the brand created Post-it Extreme Notes. This heavy-duty upgrade to the original Post-it Note is designed to work in hot and cold temperatures, as well as wet conditions. It also will stick to a variety of surfaces, such as cement, steel, PVC piping and lumber. “When developing new products, the Post-it Brand is committed to creating tools that facilitate effective communication and align with the integrity of the brand,” Remi Kent, the brand’s global business director, said in an emailed statement. Related: The Simplest Ideas Can Be Extremely Profitable. Here's Proof. If you’re designing a new product or feature, look for a customer pain point and solve for that specific problem. Every product you create should fit your brand message and values. There may be customers for your product outside of the environment you designed it for. You can get your own Post-it Extreme Notes starting in March.